Presentation I gave at TED 2011, Long Beach based around the theme ‘The Rediscovery of Wonder’. The presentation was made for high -def projection at a 16:9 aspect ratio, so there’s some white space and bottom of presentation in the embed below. 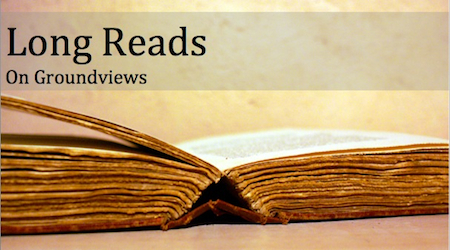 I formally launched the Long Reads section on Groundviews today. This section brings to the site long-form journalism found in publications such as the Economist’s fantastic Intelligent Life quarterly, Foreign Policy, The New Yorker and the New York Times. Inspired by the Longreads blog, these articles offer more in-depth deliberation on key issues covered on Groundviews. There’s some way to go before we get to the quality of say a Hitchens writing about the art of making tea, but I hope that even if these articles are comparatively, on account of their length, less well read than others on the site, they capture a different set of readers and indeed, voices to the site. I have longed to read solid, reflective, engaging pieces of journalism in Sri Lanka, and this is a first crack at publishing quality writing in this country. I think we have the voices – just that the economics of mainstream print media just doesn’t afford the space or platform. Save for the treatment of Tamilnet in Mark Whitaker’s book on Sivaram, I know of no other Sri Lankan website other than Groundviews that has inspired rigorous academic study. From as early as 2007, content on Groundviews has been studied and quoted in academic journals, books and media reports. Today I was forwarded Sri Lanka inside-out: Cyberspace and the mediated geographies of political engagement, the most recent serious consideration of the site’s content. I know of two other post-grad students – at Fletcher and Columbia – who are basing their thesis in large part on Groundviews’ content and raison d’être. It is a fascinating paper. This research note begins by pointing to the forms of geographical and political enclosure that have resulted from the current Sri Lankan government’s effective regulation of parts of the national media, as well as its mediation of knowledge produced about Sri Lanka more generally. It argues that a rather draconian and unbreachable geography of inside and outside is instantiated by the political regime’s insularizing regulation of the country’s media(tion). The research note then points to new virtual spaces in the Sri Lankan context that are reconfiguring this sticky geography of inside and outside. In particular, it argues that Sri Lanka’s burgeoning blogosphere and online citizen journalism provide new, participatory spaces for dissent, debate and the free flow of information that have much potential to assist in the production of a more robust and critical civil society. The emergence of these spaces points to the importance of geography and spatiality in manufacturing an effective critical politics in contemporary Sri Lanka. A Book That Defies All Definitions: A review of the End of War in Sri Lanka, Sasanka Perera, Professor of Anthropology and Head, Department of Sociology, University of Colombo. ‘A Glimmer of Hope; A new phase in Constitutional Reforms in Sri Lanka’, Edited by: Sumanasiri Liyanage and M Sinnathamby. This book features in full an exchange between Sumanasiri Liyanage and Asanga Welikala that first occurred on Groundviews. Freedom in Solidarity: Media Working for Peace in South Asia, published on behalf of the South Asia Media Solidarity Network (SAMSN) by the International Federation of Journalists (IFJ) Asia-Pacific. I was told last week by a senior journalist that Groundviews was first looked upon as a platform to publish stories newspapers would or could not. It then had turned into a source itself, and a location for good leads and story ideas. Now, I was told, it shows mainstream media what journalism should be. The unique Special Edition Groundviews ran a year after the end of war in Sri Lanka was recently critically acclaimed recently by Prof. Sasanka Perera from the University of Colombo. 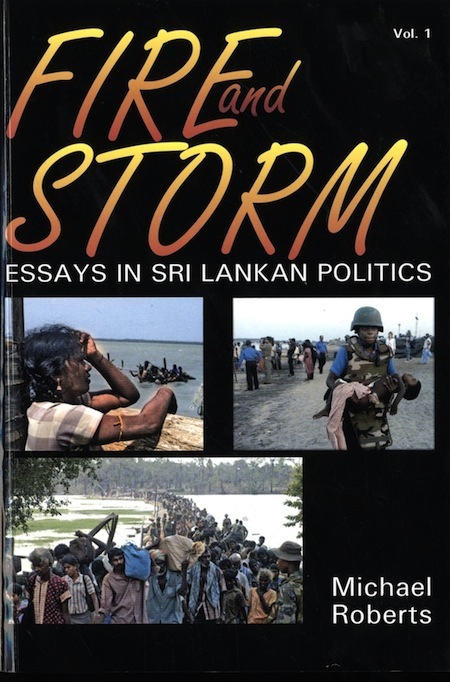 Fire and Storm: Essays in Sri Lankan Politics is the latest book by Prof. Michael Roberts. Michael was trained in history and the social sciences at Peradeniya University in Sri Lanka. Read a fuller description of the author on his blog and watch a recent interview, produced for broadcast TV and featured on Groundviews here. Emphasis mine. The post in question can be read in full here. Prof. Roberts and Prof. Perera flag something interesting over 2009 and 2010. 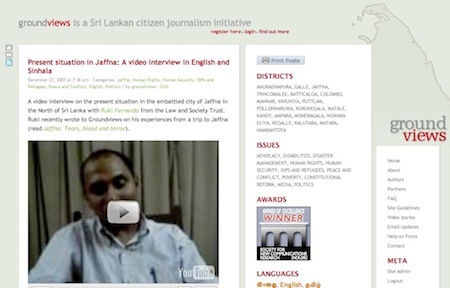 For the first time in Sri Lanka’s media history, the most engaging content interrogating key political and social issues was produced or published not by mainstream media, but by citizen journalism, notably voices featured on Groundviews as well as the site’s own original reporting. It’s an exciting time to be a citizen journalist in Sri Lanka. Updated 22nd December 2010 with list of plugins used on the site. Groundviews launched its new version today. It was a radical departure from the look and feel of the old and first version to the new avatar. Counting articles and comments, Groundviews has, at last count, well over 5.5. million of words of content published since 2006. This does not include the photos, audio and video featured on the site. The sheer size was its own worst enemy – once an article went off from the homepage in the previous version, readers had a hard time rediscovering it. Site search was ineffective, inaccurate and slow to boot. While the site had a distinct look and feel loyal readers had come to love, it was evident that a lot of the content useful for researchers and historians, as well as serious readers, was simply too hard to access. The new site officially launched today with key improvements. What was done to enhance the features, readability and discoverability of content is not something any other media site in Sri Lanka comes even close to achieving today. How did we do it? Key to the new site were the following three considerations. We didn’t move away from WordPress, which from the get go has served Groundviews well. That said, there was no plugin on WordPress capable of serving the search functionality we required. We turned to Google’s Custom Search Engine instead. For $100 per annum, the CSE we created is the most comprehensive search currently available for a site, bringing to bear Google’s power (including boolean logic operations and specific filetype searches) to enhance content discovery on the site. To complement this new search engine, we created a new Archive page on the site, making it easier to visually navigate to content published in the past. Groundviews, through the WordPress Mobile Edition plugin, already automatically rendered content on mobile devices to suit each device and browser. This plugin was retained in the new version. The option to go to the full site is present and works best with iOS, Android and Symbian devices. A strict a standards based design and the switch to HTML5, non-Flash based video was done with Apple’s iOS devices in mind, which don’t run Adobe Flash. All the videos, and the scrolling features on the homepage, are non-Flash based, and work perfectly on any iOS device. The earlier site had patchy connections to Facebook and Twitter. The new site streamlines these connections. At the end of each article, tight Twitter and Facebook integration make it possible to highlight the story quickly and easily. In addition to this, we continued the use of Apture, first introduced to the site over a year ago. Featured on sites like the Economist as well, Apture comes into its own when one scrolls down any page. The resulting header makes it easy to search for content, as well as post anything to Twitter or Facebook. An added bonus is that double-clicking on any word, or set of words, opens an Apture window that searches Groundviews for that key word or phrase, as well as the wider web. It is an elegant solution that helps retain readers on the site. It’s also important that Instapaper has iPhone / iPad apps, making it very easy to save and read site content on these devices, with seamless content synchronisation. It is one thing to know about web and new media, quite another to strategically leverage it to strengthen brand identity, content consumption and forge new models of participatory, independent and indeed, investigative journalism. Though newspapers in Sri Lanka have embraced the likes of Twitter, Facebook and web media, there is no real understanding of any of the platforms, the manner in which content needs to be tailored for each of them, the varying consumption and delivery patterns or through them, how consumers can be made to engage with the news in more engaging ways. Underlying technology aside, the new design uses a new typography and layout, leveraging white space, line spacing and content placement to enhance readability. The design, content migration and technical features were implemented by Cezar Neaga. It is almost impossible to find WordPress expertise in Sri Lanka to the level of complexity Groundviews demands. Cezar’s keen eye and technical proficiency helped a great deal to realise our core requirements for the new version. At the end though, what drives a site is its content. All of the design elements and technical features are anchored to the international award winning content featured since 2006 on Groundviews. The new site makes this content more easily accessible and more visually appealing. It is also the basis for new, compelling ventures in citizen journalism lined up for 2011 and beyond. Regular readers of Groundviews would have noticed the site upgrade that went live last week. The new website sports a complete overhaul of underlying site technologies and presentation. A completely overhauled site search, now powered by Google, means that the full power of the world’s leading search engine is available on Groundviews as well. The same boolean operators and advanced search features of Google can now be leveraged on the site. Combined with a brand new archives page, the new archive page addresses one of the most requested features of the site. HTML5 (i.e. non-Flash based) video and standards based site design means that content will display on all modern browsers as well as iPhone’s and iPad’s. Easy to use email subscription powered by Google’s Feedburner means that full articles are available in your inbox without ever having to visit the site. Integration with Instapaper is a boon for researchers and even regular readers. Instapaper is a free and simple tool to save all web pages on the site for reading or printing later, and is available across all browsers and even on the iPhone and iPad. Powered by Apture, double click on any word or phrase on any page, and the site now features a comprehensive, elegant inline search for content related to the word(s) from the site, as well as from the larger web. The site is optimised for mobile browsers. On any iOS device, Symbian phone or Nokia browser, the site will display a version optimised for mobile browsing. The full version of the site is only a click away for mobile devices capable of rich content display, such as the iPhone, iPad or any Android browser. The site update has preserved links from the previous avatar and Google indexing. What this means is that references to site content made for example in academic journals are still valid, and that existing indexing of site content on Google is unaffected by the upgrade. As before, full-length RSS feeds for new content as well as comments are available on the site, which can be incorporated into any RSS feed reader. There are a lot more technical upgrades to the back-end of the site that enhance reliability, scaleability and content discoverability. With over two and half million words of original content, and at last count, close to around three million words of commentary, Groundviews is a sui generis trove of critical debate and content for researchers, historians and others interested narratives beyond government propaganda and the bias of mainstream media. We welcome you to engage with this content, and support us in our work over 2011 and beyond.